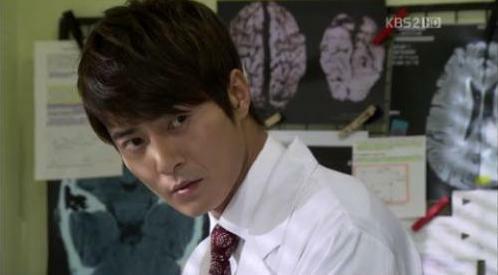 The KBS 2TV drama Monday and Tuesday drama series Brain‘s viwership ratings is returing to life after the end of anther drama of same time slot, Gye-Baek. According to AGB Nielson Media Research statistic on November 29th, 2011, the rating of Brain broadcast on November 28th was 9.7%, an increase of 0.9%. It’s the first time raised to the second place in viewership ratings ranking of all shows on same time slot after debut. Therefore, the double digit ratings may be just around the corner. On the day’s broadcast, Ji Hye (played by Choi Jung Won) and Kang Hoon (played by Shin Ha Kyun) sneaked into the reference room to find the manuscript paper that has been tampering with. The back hug that happened in a tense atmosphere causing the heartbeat of viewers to rapidly increase. In addition, A Thousand Days’ Promise broadcast at the same time slot is rated 16.7%, although it fell 0.7% from last episode, but it still ranked number one. The premiered MBC’s Lights and Shadows rated 9.5%, temporarily ranked last.